This collection of devotions will remind you daily of God’s great love for you, help you get your thinking rearranged toward God’s agenda, and boost your courage and strength to overcome the daily struggles and temptations that you face. God promises those who study his Word that they will find greater clarity in understanding life, greater comfort in knowing his love, greater resilience to life’s hardships, and greater joy in service. And that’s exactly what we pray for you as you dive into Set Free by Grace. 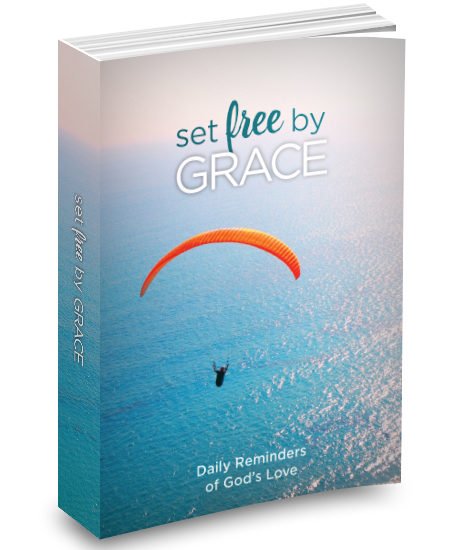 Successfully added Set Free by Grace (365-day devotional book) to your cart.